It was a rough road trip to Spokane – scoring just four runs and recording 16 hits in the three losses to the Indians. However, it was as if a lightswitch was turned on once the Hawks walked between the chalk lines at Memorial Stadium, as the team had quality at bats and outstanding pitching, ending a three-game losing streak in style with a 12-2 win. THE GOOD: I’ll start with the effort of Ian Dickson, who pounded the strike zone, fanning a career-high six men in picking up his first win as a professional. The righty allowed just four hits and one earned run, working five innings. It was a solid night at the plate for both Willson Contreras and Chad Krist, each recording four hits. Krist had two doubles and nearly had a third that banged off the wall in left – with the former Cal Bear doing the smart thing an holding a first. 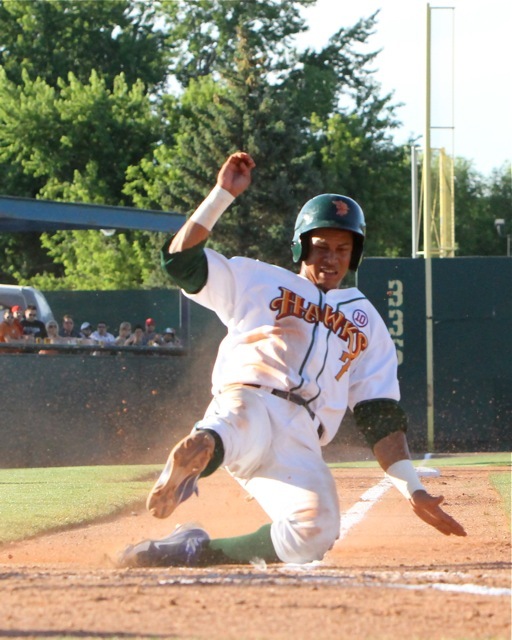 Contreras drove in three runs and made two outstanding hustle plays – scoring on a double by Stephen Bruno from first and taking an extra base on a grounder up the middle that went off the glove of Spokane 2B Cam Schiller. THE BAD: David Perez struggled for the Indians – nine runs in three innings, walking three men, and serving up four wild pitches. Not a good night. NOTES: Gregori Gonzalez made his Boise debut and singled home a run in his first at bat, while newcomer Eddie Orozco of UC-Riverside made his debut, throwing a scoreless sixth inning…Rafael Diplan threw two more scoreless frames and has now started the season with 11 shutout innings…Dong-Yub Kim hit the first grand slam since Paul Hoilman clubbed one against the same Spokane squad last July…Kim also ended a 0-for-13 slump with runners-in-scoring-position…the Hawks finally got to the Spokane pen, after the Indians tossed 13 innings of shutout ball at Avista Stadium earlier in the week. ROSTER MOVES: Orozco was one of four players who arrived in Boise yesterday – as fellow pitchers Mike Hamann (Toledo) and Michael Heesch (USC-Beaufort) joined the squad, along with OF Bijan Rademacher (Fullerton State/Orange Coast CC). Today, the revolving door continues, as Amaury Paulino, who was injured throwing a pitch in Spokane, has been put on the disabled list and will head to Mesa for treatment, while OF Trey Martin – who was hitting .440 with five doubles and six RBI in the AZL, was promoted. Fans in the Treasure Valley have to be disappointed that neither of the first two OF’s called up had the last name of Garsez (as in the Caldwell native playing for the Mesa Cubs) – as his former American Legion team was in attendance last night. GAME ON FM TONIGHT: Tonight’s game will be the second of six games on 93.1 KTIK-FM, with Hawkstown Tonight at 6:05, with the first pitch set for 7:15 p.m. Other FM games will be July 6, July 20, August 3, and August 10 – all Friday nights. 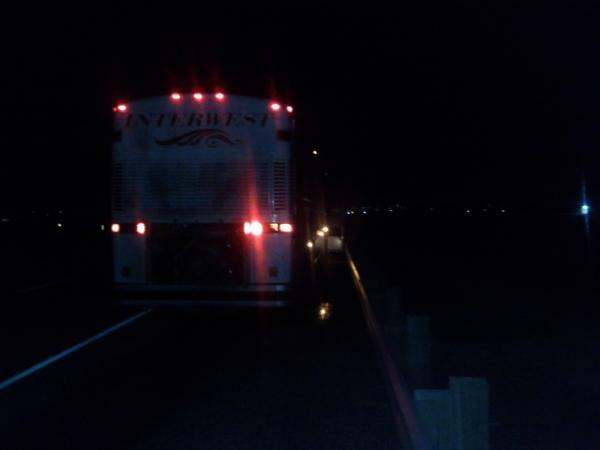 Troubles with travels in the bus leagues are nothing new for a baseball team – and for the Boise Hawks, it is no exception, as the latest installment of “What’s Wrong with the Bus” happened early this morning. Around 2:15 in the morning, about 10 miles outside Ontario, Ore., the engine of the Hawks coach died – literally, with smoke, oil, and other fluids pouring profusely out of the carriage. We stopped dead in our tracks, right on the side of I-84. And we waited, and waited, and waited. A good two hours or more until a relief bus (which didn’t smell particularly good) got us the rest of the way home. 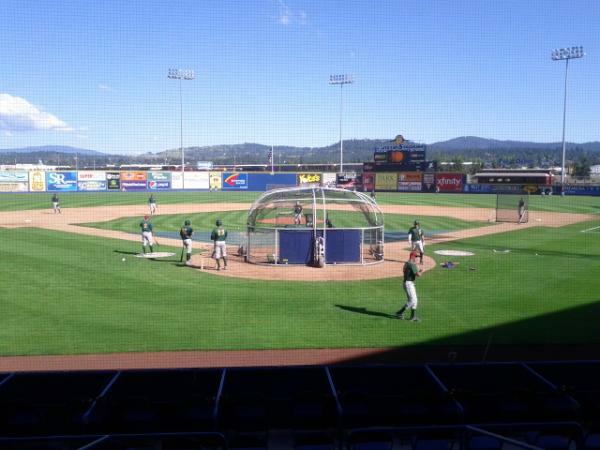 It brought back memories of 2004 – when heading to the Tri-Cities after a five-game sweep of Everett, the fan belt blew in the bus on Snoqualmie Pass (with no AC for the rest of the trip in 100 degree heat). In 2008, an air-line broke going down the Ladd Canyon grade outside of La Grande, Ore., holing the team up at a truck stop for two hours. An last year, the infamous blow up atop Satus Pass on our way from Yakima to Salem – and the shenanigans with horseshoes and a rabbit. I got a tweet (@BoiseHawksRadio if you aren’t a follower) last night wanting to know why I haven’t been talking about the pregame meal each night – as last season, we chronicled the food throughout the season. 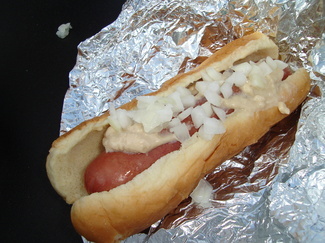 Hot dogs, chicken sandwiches, and burgers were prevalent, but I am hoping for some new items in 2012. At Salem-Keizer, it is slim pickings – in fact, the clubhouse manager never brought the Hawks staff any postgame spread throughout the series (first time I have ever heard of this in my nearly decade in the NWL). It was hot dogs in the booth for three of the nights in S-K, giving them the early lead. Kudos to Geno George from the Hawks Home Plate Food Services for switching up the menu at Memorial Stadium – which got rave reviews from Matt Dompe, Eugene’s new radio man. Smoked Sausages opened the series, followed by Papa Murphy’s pizza, a hot meatball sandwich, a chicken caesar wrap (which would be better without tomatoes), and ending with a turkey sandwich – which was outstanding. No hot dogs or hamburgers to open the season in the BOI. Spokane has an option this season, though it is basic (which is sad for us, because they have an outstanding barbeque pit, pizza, and rice bowls in the concourse) – either a chicken sandwich, a hamburger, or a hot dog (I can still remember longtime Spokane broadcaster Bob Robertson saying “I need one of the BIG hamburgers and a hot dog, so I can take the hot dog home and have it after the game.” I have had the chicken sandwich each of the first two days and will have it again this afternoon – pushing the bird into a tie in the food race. FOOD STANDINGS (Through 6/27): Hot Dogs (3), Chicken Sandwiches (3), No Food (2), Turkey Sandwich (1), Meatball Sandwich (1), Smoked Sausage (1), Pizza (1), Chicken Wrap (1). There have been some miserable nights in the Northwest League over the years, but nothing compares to last night in Spokane. Gametime temperatures in the 40s, rain, and wind blowing at 15-25 miles per hour throughout – with an open-air pressbox that doesn’t have heaters. 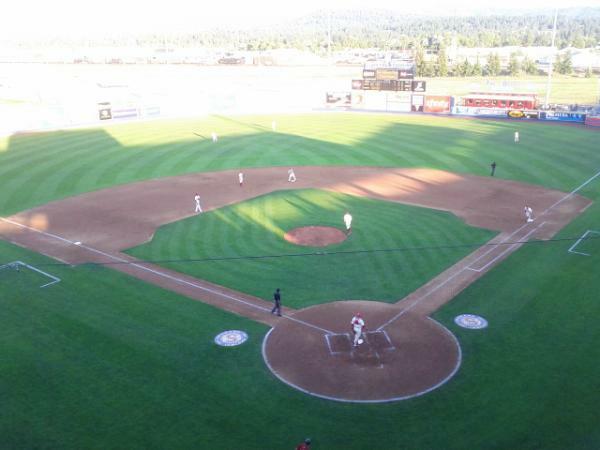 I remember a game in Spokane in August 2004 – which was a night like yesterday (though it was in the 60s, not the 40s) in which Darin Downs helped the Hawks to a 1-0 win, starting an eight-game win streak on the Western Idaho Fair road trip that helped the team to the NWL East Division pennant. I remember a few rainy nights in Vancouver, when all the windows in the press box were closed and the crowd microphone was funneled through a hole (that usually has a wasp net in it) to the backstop screen. 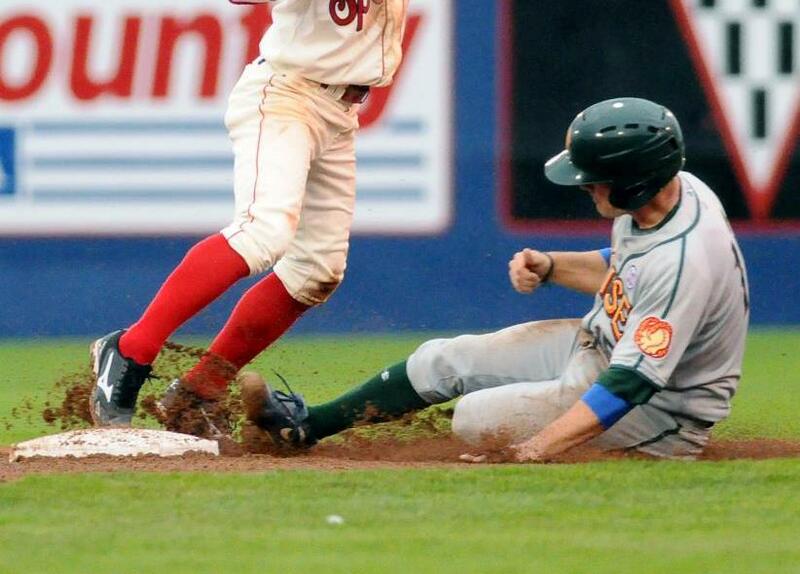 And one can’t forget the infamous night in Everett during the 2010 season when Jody Davis pulled the Hawks off the field after Ryan Cuneo slipped on the warning track after a two-hour rain delay – eventually forfeiting the game to the Aquasox. But none of them were like last night. Thankfully, Spokane PR man Bud Bareither brought up a hot cup of coffee in the fourth inning – which kept me warm (for an inning or two). MEMORIES OF THE COLD: Trainer Bob Grimes reminisced about days early in the season at AAA when he was with the Iowa Cubs – recalling a game in Calgary in which the infield dirt was frozen for a day game, forcing a freeze delay for two hours. He also recalled a game in Omaha to start a season in which he got to the park on a cloudy day, then looked outside and saw snow falling – forcing the postponement, with nine inches of snow blanketing Des Moines by the time the team made the trip down I-80. Skipper Mark Johnson recalled when he was playing for the Tucson Sidewinders and they opened the PCL season in Colorado Springs – with all four games of the series postponed due to snow. 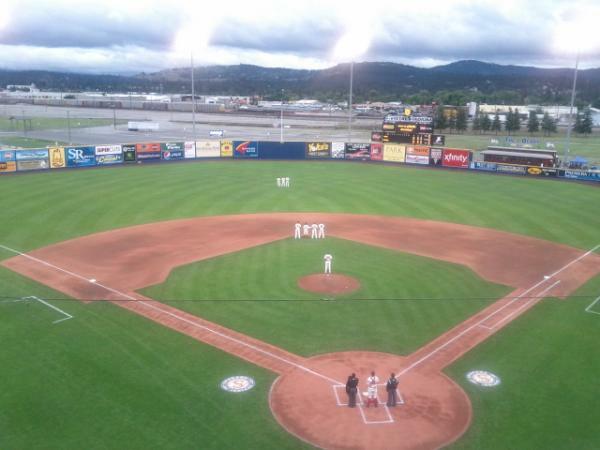 THE GOOD: The Spokane grounds crew, which despite the consistent rain all day, got the field in playable shape. THE BAD: The Hawks offensive attack, as Boise had only a few good at-bats on the night, mustering a trio of hits (though a trio of highlight-reel plays by the Spokane defense didn’t help). Hayden Simpson hurt his own cause in both the seventh and eighth, throwing away a pickoff move in both frames – leading to an unearned run in the eighth. 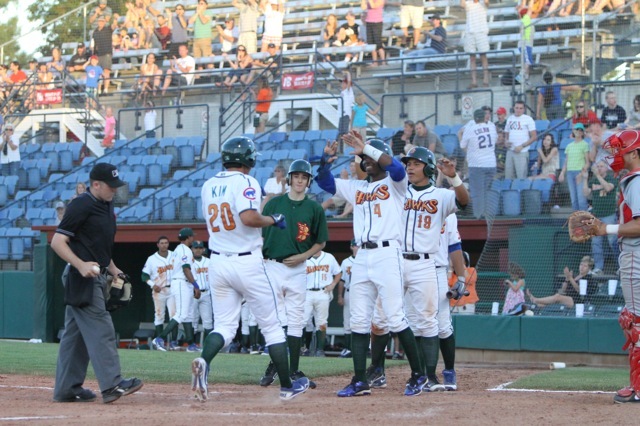 A total of 139 former Boise Hawks are currently active in professional baseball, including 25 at the Major League level. Currently, tonight’s game in Spokane is scheduled for a 6:35 p.m. (PT) start – despite constant rain and temperatures in the low 50s. There are truly three AAA type cities in the Northwest League – Boise, Vancouver, and Spokane, and it is always a joy to come to Avista Stadium. 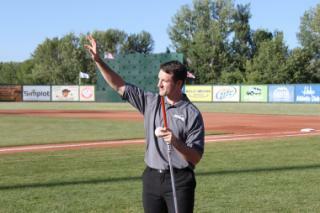 Great staff at the ballpark, a top-notch facility, and good crowds make it fun – win or loss. As I have said in the past, the vantage point from high-atop the ballpark is one of the best in the league, as is the chicken sandwich and dill pickle spear that I get nearly every night (though it would be nice if the Indians would offer some of the great barbeque or rice bowls that they have on the concourse). NOTES FROM MONDAY: I have not received word from trainer Bob Grimes as to the status of the elbow injury to Amaury Paulino, who had to leave last night’s game in the eighth inning…Marco Hernandez and Gioskar Amaya each had doubles in the loss, extending their hit streaks to seven games, equaling the longest streaks in the NWL – with Amaya having reached base safely in all 11 games he’s played…Willson Contreras gunned down two base runners last night, with opposing runners just 3-for-10 in stolen base attempts against him…Bill Buckner was honored in the second inning as being a part of the 1970 Spokane Indians team that won the Pacific Coast League title – a squad that was managed by Tommy Lasorda. ALUMNI REPORT: Look later tonight for the latest Boise Hawks alumni report, as I have indentified 139 former Hawks who are currently active in pro baseball – including Spokane hitting coach Oscar Bernard (’05) and Spokane pitching coach Ryan O’Malley (’02). We’ll take a look at last night’s game in Spokane later this afternoon (plus finishing up an Alumni Report), but here is a video outside the hotel today at the rain pounding the Spokane Valley. 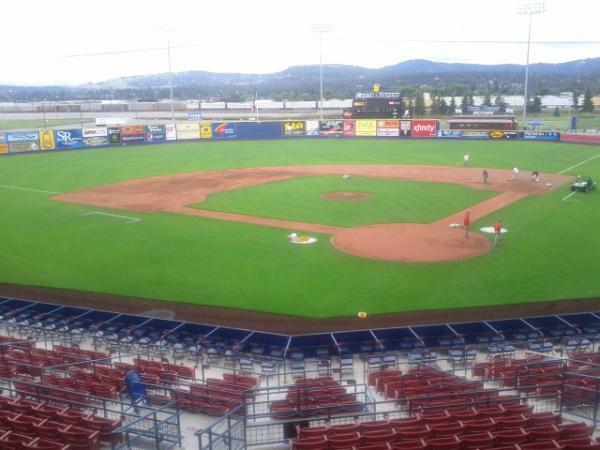 Without a tarp, it will be a challenge for the Avista Stadium grounds crew to get the playing surface ready. Back to back home runs in the first by Marco Hernandez and Jeimer Candelario, a solo shot from Shawon Dunston Jr, and a two-run blast from Gioskar Amaya marked the first time since the 2007 season that the Hawks hit four homers in one game. Boise recorded their highest scoring output and hit total for the season – and won, despite allowing 18 Eugene hits, taking advantage of a trio of double plays. THE GOOD: One night after having the final 12 men retired in a row, the Hawks had a quality night at the plate as a collective group – as all nine batters in the order had at least one hit. Five players had two hits in the game, with Amaya and Hernandez each scoring a season-high three runs. 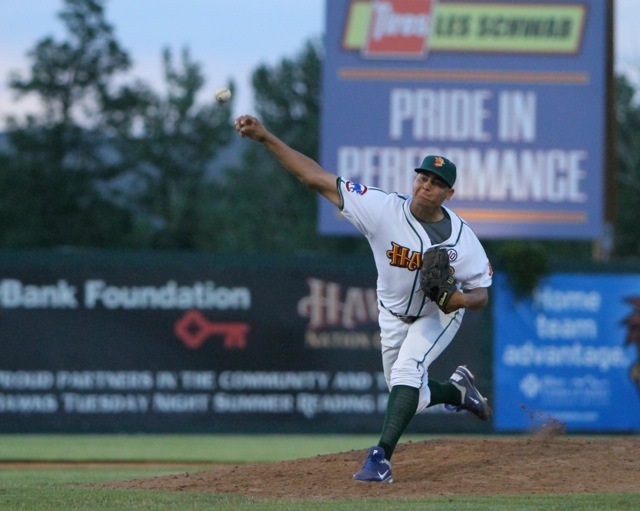 Jose Arias had a good relief appearance, giving up two unearned runs in three innings of relief. THE BAD: It was another rough outing for Pete Levitt, who allowed six runs on five hits in the top of the ninth inning, getting just one out. The right-hander saw his ERA balloon to 22.85, with opposing hitters hitting a gaudy .571 against him. Boise committed three errors in the win, and now has 18 errors in 10 games. NOTES: The last time the Hawks hit four home runs in a game was on July 17, 2007 at Everett, when Billy Moss, Marquez Smith, Tony Thomas, and Jonathan Wyatt each went deep for Boise…attendance for the opening homestand was below average, as the Hawks rank sixth in the eight team league in attendance – right around 2,500 fans…following the game last night, infielder Brian Inoa was given his release by the Chicago Cubs. LATE NIGHT BUS TRIP: The Hawks embarked on a seven-hour bus ride to Spokane at midnight last night, arriving in the Spokane Valley just after 6 a.m. this morning. 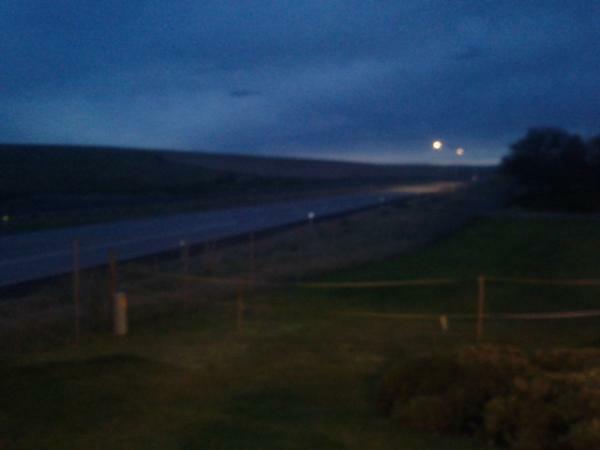 (Here is a photo from a rest stop between the Tri-Cites and Ritzville along US-395 at 4:30 a.m.) It could be an interesting three-game series with the Indians, as Tuesday’s weather looks much like the deluge that is plaguing the Florida State League – nearly an inch of rain is forecast for Eastern Washington. 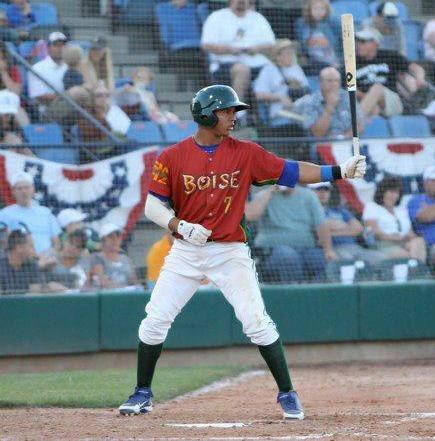 A good game on Saturday night betwen the Hawks and Eugene, unfortunately, after a four-run fifth inning rally got Boise the lead, the team couldn’t muster any offense over the last four innings, eventually losing 5-4. THE GOOD: The first three innings of work for Ian Dickson was outstanding – retired all nine men in order, including four first-pitch outs…Marco Hernandez played a flawless game at shortstop, making a pair of outstanding plays on a night he had eight ground balls hit at him…Joe Zeller had the knuckler working, tossing two shutout innings of relief…Reggy the Purple Party Dude entertained the crowd the entire night, drawing laughs from fans of all ages. NOTES: Following the game, reliever Matt Spencer was called up to Class-A Peoria after allowing just one run in three appearances with the Hawks. ESPN CALLS ZELLER: With the success of New York Mets pitcher, R.A. Dickey this season – and the knuckleball artist pitching tonight on Sunday Night Baseball against the Yankees, ESPN wrote a feature article on his success and the lack of other knuckleball pitchers in professional baseball. Only two pitchers who throw the pitch are active in the minors – including the Hawks’ Zeller, who was featured prominently in the article. To read Adam Rubin’s piece on Dickey (and Zeller), go to http://espn.go.com/new-york/mlb/story/_/id/8089178/new-york-mets-ra-dickey-giving-hope-aspiring-knuckleballers. AROUND THE HORN: Everett pitcher Seon Gi Kim was unhittable last night against the Spokane Indians, as the hurler did not allow a hit in six shutout innings, fanning a league-best 13 batters, the the Aquasox 2-0 win…Spokane broke up the no-no with one out in the seventh…former Hawk, Josh Harrison had one of the Top-10 plays of the night on Sportscenter, ranging deep in the hole at short to make a fabulous play against the Detroit Tigers…Brett Jackson hit his 10th home run of the season in Iowa’s 4-2 loss at home to Round Rock. RALPH NAMED STEELIES COACH: The Idaho Steelheads announced their new head coach in a unique way Saturday, as new head man, Brad Ralph threw out the first pitch of the Boise-Eugene game – before facing the Boise media in an impromptu press conference. It got crazy at Memorial Stadium last night in the sixth inning, as outflow winds from thunderstorms in Eastern Oregon unleashed a dust storm that delayed the game for nine minutes. 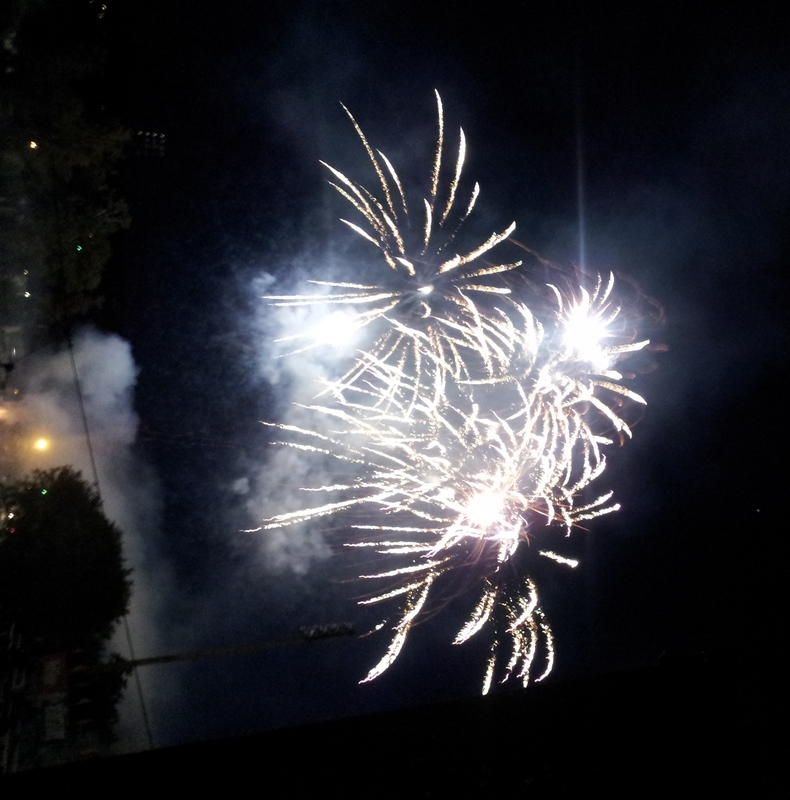 The 50-mile-and-hour winds lasted for about 15 minutes – and died down enough for the postgame fireworks show to go off (albeit an abbreviated show). The Hawks won back to back games for the first time this year, thanks to a big effort from Gioskar Amaya, who had four hits, two stolen bases, and two RBI, and Jeimer Candelario, who hit a homer for the third straight game – this time a three-run shot. A big key to the win was a stellar effort by the Hawks bullpen, as a trio of pitchers combined to toss five and a third scoreless innings – as Matt Spencer picked up his first professional win. Bryce Shafer got into trouble in the ninth, loading the bases with only one out, but got Clark Murphy to ground into a game-ending double play. 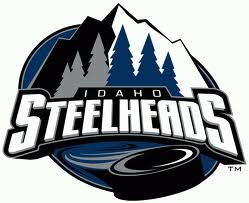 ANNOUNCEMENT ON SATURDAY: The Idaho Steelheads of the ECHL will be announcing their new head coach prior to the Hawks game on Saturday night, as the new coach will throw out the ceremonial first pitch. He will then conduct a press conference in the Hawks’ offices following. ROSTER MOVE AGAIN: For the second-straight year, a player spent one day in Boise – as Zach Rosscup arrived yesterday from Mesa and is on a plane today to Peoria to continue his rehab for the Daytona Cubs. ESPN STORY TO FEATURE ZELLER: Look for a story on knuckleball pitchers on ESPN.com on Sunday, which will feature Hawks’ right-hander Joe Zeller. With the success of R.A. Dickey of the Mets, ESPN will chronicle other knuckleball pitchers in the minor leagues. NOTES: Former Hawk Russ Canzler was named International League Player of the Week for the Columbus Clippers (Cleveland) after hitting three homer and driving in 13…Geovany Soto hit is sixth homer of the season for the Cubs last night in a 6-1 loss in Arizona.